With an extensive network of excellently groomed trails, it's hard to go wrong with a day at Methow Valley. If you somehow ever thought there was a lack of groomed cross-country ski trails in Washington, you've never been to Methow Valley. The four hour drive from Seattle is a bit of a trek, but it’s worth it: With over 120 miles (200 kilometers) of interconnected trails, Methow Valley is home to the largest cross-country ski area in the country. The impressive network of nordic trails were built, and are still diligently maintained, by the non-profit organization Methow Trials. It incorporates a range of routes for all abilities – including children and, on selected trials, dogs. 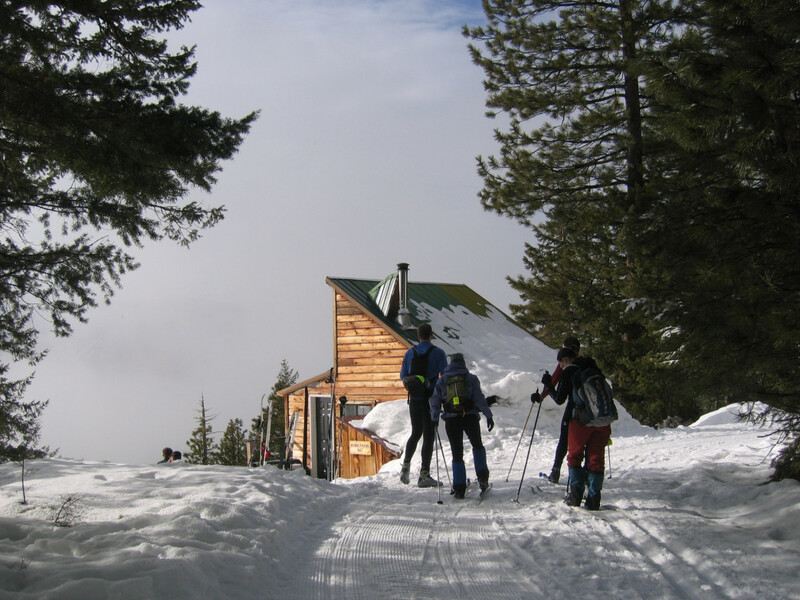 Both classic and skate ski rentals as well as lessons are available from the Methow Valley Ski School. 1) The Methow Community Trial. This area contains almost 53 miles of trails, and offers unique opportunities like lodge-to-lodge (or bakery-to-bakery) skiing, gliding over the 275-foot suspension bridge over the Methow River, and even skiing alongside your dog. The Methow Community Trail also connects to the Sun Mountain and Rendezevous trails. 2) The Sun Mountain trails. This area, containing about 34 miles of trails, is part of the Northwest’s oldest cross-country ski resort. The routes are fairly evenly divided between “easiest,” “more difficult,” and “most difficult,” so it is a great option for groups of people that encompass a range of cross-country abilities. 3) The Mazama trails. The bulk this area’s trails fall into the “easiest” category, making it the best choice for anyone learning to cross-country ski. Still, traveling through the scenic landscapes of rolling hills and the Methow River makes it a satisfying day even for cross-country veterans. 4) Rendezvous trails. This is the place to go for the seasoned cross-country skier. Its 30 miles of “more difficult” and “most difficult” trials will take you to stunning views of the North Cascades above you, and the Methow Valley below. Anyone from first-timers to cross-country diehards who aspire to complete the “200K Challenge,” a quest to ski every trail in the Methow Trial system. The Methow Community trail can be accessed from the south side of the town of Winthrop, at the Mazama Junction, or at various points along the route. Methow Trails offers one-day, multi-day, annual, or lifetime passes. Kids under seventeen are free, but dogs require a pass. Passes are available at several shops in the towns of Twisp and Winthrop, or online here.